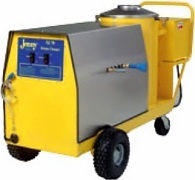 This series of units provides various GPH wet steam configurations. This unit is a dedicated Wet Steam Cleaning Systems fueled by its massive Diesel heating core. Flow rates as low as 70 GPH to 120 GPH. Inject soap any time! We have 3 sizes to pick from in this class! 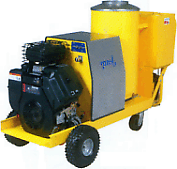 Diesel Heated, Gasoline Engine Pumped = Super Portable, No Generator needed! Awesome, Everything under one hood! This amazing series combines the best of both worlds. 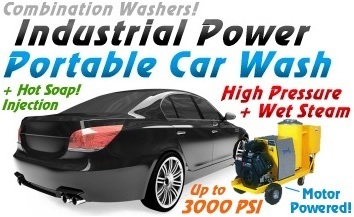 145º F Hot Water Pressure Washing, Cold Water Pressure Washing & 325º F Wet Steam modes. All modes feature hot soap injection on demand. We have 3 sizes to pick from in this class! This amazing series combines the best of both worlds. 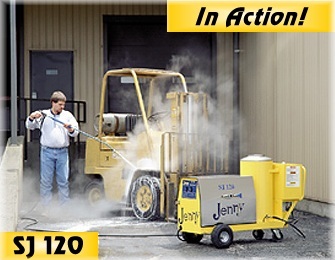 145º F Hot Water Pressure Washing, Cold Water Pressure Washing & 325º F Wet Steam modes. All modes feature hot soap injection on demand. We have 3 sizes to pick from in this class! Units come standard with a 5' long safety wand. Shorter was are not available.